Organic gardening is all about proper soil management. Here I will go over three major considerations to preparing a successful garden bed: nutrition, pH, and water drainage/retention. If you don't know what kind of soil you are starting with, you will not know what to add. For this reason, you should always start organic garden bed preparations with a simple soil test. If you follow my suggestions, you will be adding plenty of good nutrients to your garden soil. The addition of organic material to a sandy soil will increase water retention, while in a clay soil it will increase drainage. The main concern, therefore, is the pH of your existing soil. Different nutrients are available (or not) at different pH levels. Check out the chart here to get a better idea of nutrient availability at different pH levels. 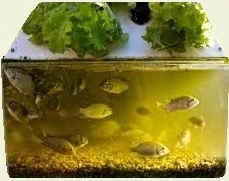 Certain plants do very well at low pH levels, while other plants do very well at high pH levels. The pH range they have in common with most garden crops is 6.2 to 6.5. If your pH level is too low and needs to be brought up, use hydrated lime or clean wood ash (no burned paper, cardboard, or plastic). If your pH is too high and needs to come down, there are a number of different sulfur compounds you can use to acidify the soil. Always follow the directions on the package carefully and retest the soil in 2 to 3 weeks. Certain crops do much better in a raised bed, not only because they drain better but also because the soil in a raised bed stays warmer. These crops include garlic, potatoes, onions, carrots, sweet potatoes, melons, and parsnips. Crops like garlic, potatoes, and carrots are often grown in mounded rows for this reason. If you decide not to make a raised bed, and you do not want to form mounded rows, then you should make sure the soil for these crops is tilled deeply and drains well. Underground crops (garlic, potatoes, carrots, beets) may rot in soil that stays too wet. Nutritional requirements vary widely from plant to plant. To make the preparation of your organic garden bed as easy as possible, start with additions that will benefit the whole garden. Next, I will discuss two additions that will benefit large sections of the garden. Finally, you will add different amounts of a complete fertilizer to specific areas of your garden depending on what each crop prefers. Once pH adjusted, the entire garden will benefit from the addition of compost (the more the better). Tilling a layer of loose straw, hay, or clover into the soil could also benefit the whole garden. Aged manure is different from compost in that it contains lots of Nitrogen. Add manure to the section of your organic garden containing corn, peppers, eggplant, garlic, beets, and herbs (sage, rosemary, thyme, cilantro, basil, etc). Manure can adversely affect parts of the garden, causing the growth of too much leaf and not enough vegetable. Do not add manure to the section of the garden containing carrots, brussel sprouts, pole beans, bush beans, potatoes, sweet potatoes, or parsnips. 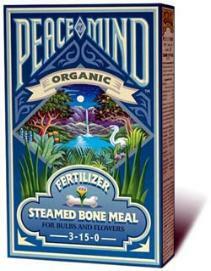 Bone meal should be added to the section of your garden where you will be growing potatoes and/or sweet potatoes. The addition of 3 to 7 pounds per 100 square feet will ensure a bountiful potato harvest. Tomato plants will also benefit from a small handful of bone meal in the soil beneath each plant as you transplant them. The last step in the preparation of your organic garden bed involves the addition of a complete fertilizer in amounts specific to each crop. Please visit my page on crop by crop bed preparation for this information. In addition, some crops like to be "top dressed" with fertilizer or bone meal. This information can also be found in the same section. About the same time you are preparing your garden bed soil, you should also be starting your seedlings and getting ready for transplanting.